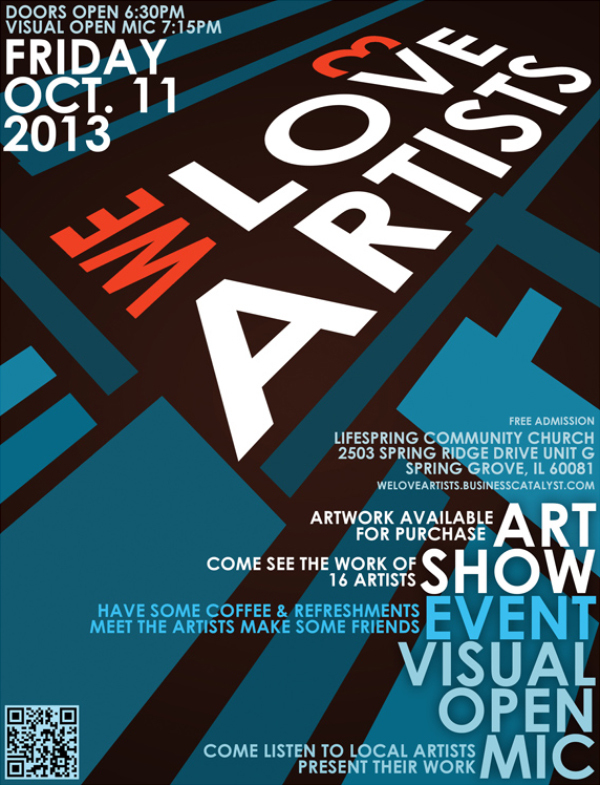 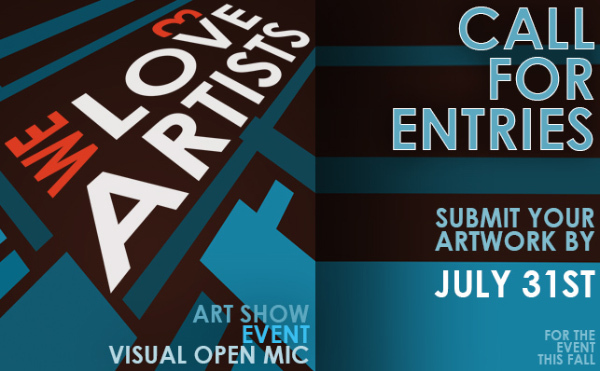 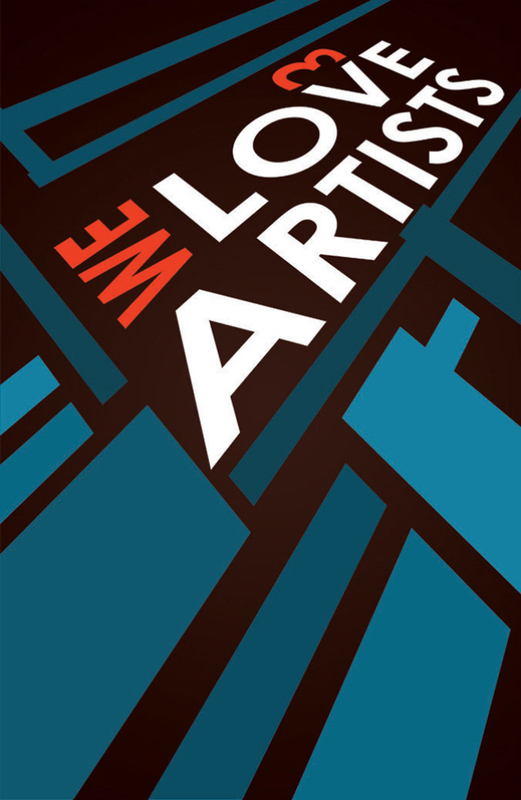 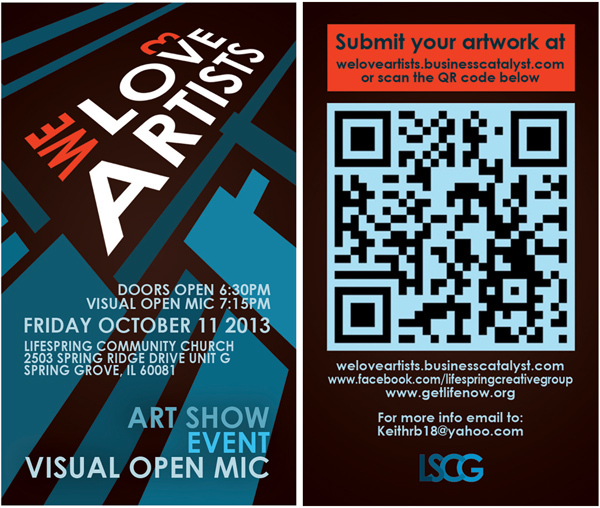 Design graphics and promotional materials for the “We Love Artists” fall art event. 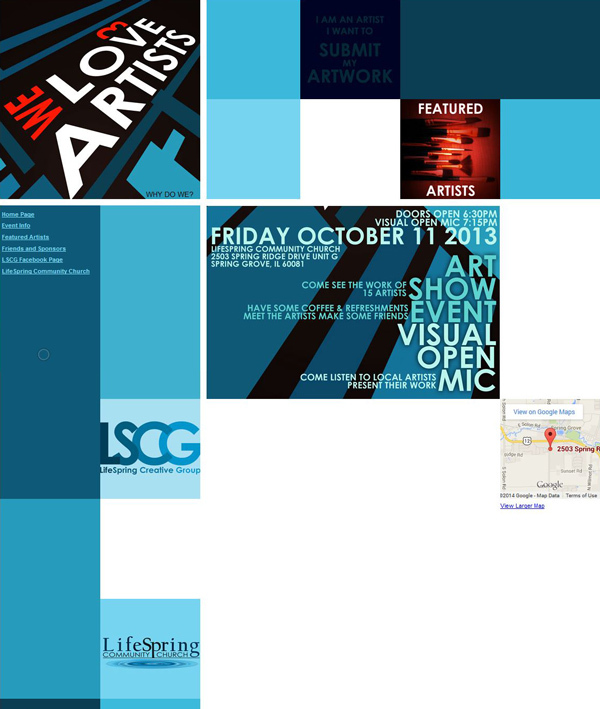 Design website and web graphics. 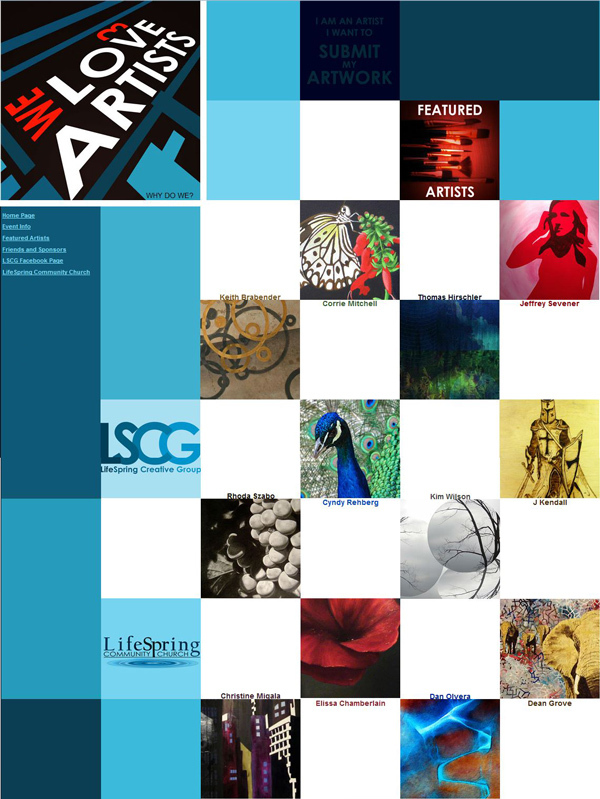 The final art show and event was well attended. The work of 17 artists was showcased and four artists gave presentations of their work (Visual Open Mic).